A roomier patient reception area. 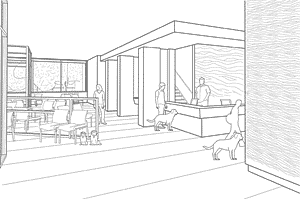 • A reflection room offering hospital clients a quiet, comforting space to carefully consider important decisions regarding their beloved animals’ care. Your partnership is vital. 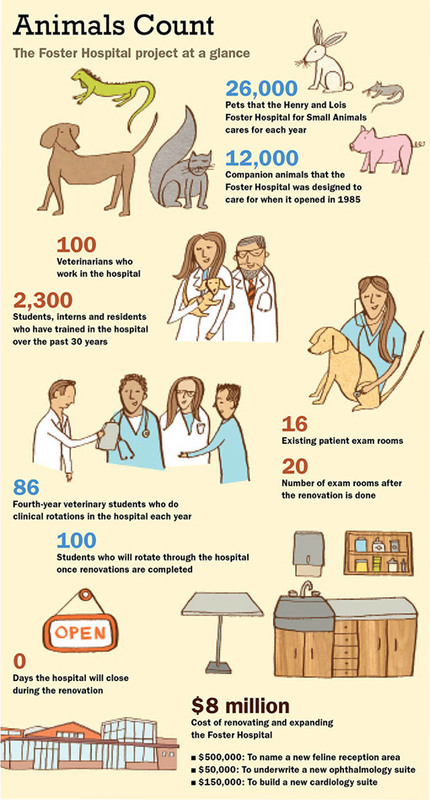 If you would like to support the Tufts Veterinary Hospitals project, or if you are interested in making a naming gift as part of the initiative, please contact Ana Alvarado, senior director of development and alumni relations at the Cummings School, at 508.839.7905 or ana.alvarado@tufts.edu. You may also make a donation by visiting the secure online giving site at vet.tufts.edu/givenow and selecting the Henry and Lois Foster Hospital for Small Animals.